name tags | It's a kids ministry Revolution baby! Walked into the office and Simone just happened to have one of her books of cool design stuff on her desk… I noticed a lanyard from the ID fashion week a few years ago and really liked the idea. 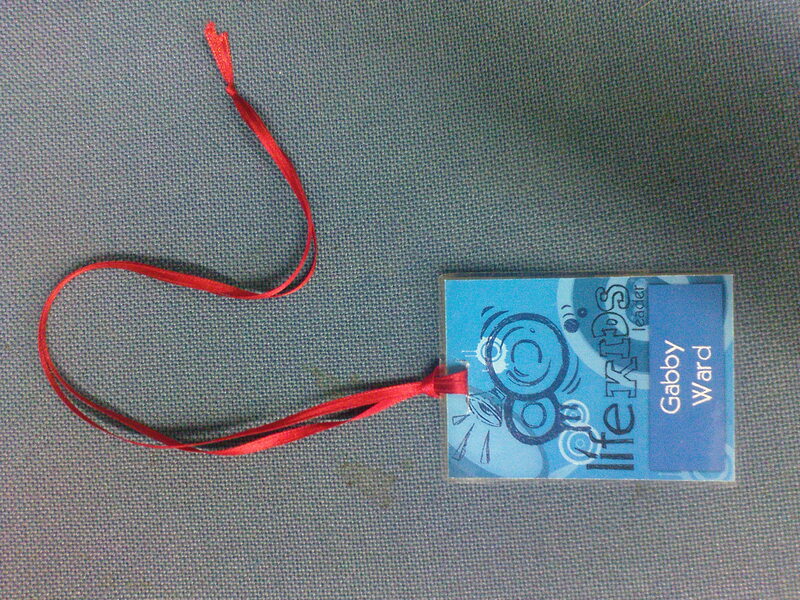 They used ribbon instead of lanyards, loads cheaper but look just as good, if not nicer.